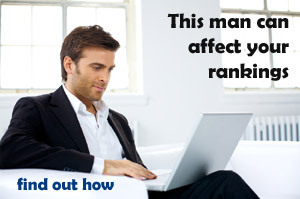 After so much time and effort you may be happy to find yourself at, or near, the top of search engine rankings. But if your Click Through Rate (CTR) and your Bounce Rate are wrong your stay at the top will be short lived. A search engine may display your site after a certain search is carried out, this is known as an impression. If the user then clicks to visit your site this is known as a click through. 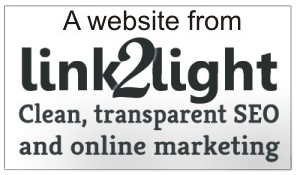 So if your site is displayed 1,000 times and 20 people click to visit your CTR is 2% and in the eworld 2% is not bad. But if the CTR is any lower, or lower than your competition, then this is a problem because the search engines will start thinking "You know we keep displaying this website but no one really wants it. Perhaps we should move it down and give someone else a chance". This, of course, is the kiss of death for you. Furthermore if your competitor who also appears in the same results is getting a higher CTR he will conversley be moved up so things get twice as bad. Here is where your title and meta tags come into play and they're importance cannot be underestimated. it for sale and it will be cheaper than anyone else. with photographs. Financing options available instantly online. Well the second listing is just more inviting, it seems more professional and concrete in it's offer. It will achieve a higher CTR and eventually be moved up to appear before the first website. So take some time to put on a marketing hat and think very carefully about how you might tweak your meta tag and title. Remember it is working for the search engines because you have a good ranking but it is not working for people so try not to change any keywords and monitor the results carefully over time. I also strongly recommend that you read up on Rich Text Snippets which have a major impact on Click Through Rates. OK, you have persuaded people to click through to your website following their search and hopefully at a CTR of 2% or above. The next hurdle is to make them stay and hopefully they will do this because you have a good website but it has to be monitored. Anyone who visits and clicks the back button shortly after arriving is 'a bounce' and that's not a good thing. Again it is Google Webmaster Tools that will tell you the bounce rate and ideally you want to keep this to below 50%. Any higher and the search engines are going to start thinking, "Well people are visiting that site but their not staying so it doesn't really belong this high in the search results". Again 50% is a rule of thumb but much will also depend on the bounce rate of your competitors. There are no shortage of reasons for a high bounce rate. It could be that your website is difficult to navigate, or slow to load and users don't want to wait, or any other myriad of reasons but you need to get to the bottom of it fast. One misconception is that bounce is simply about someone pressing the back button. This is and isn't true. The search engines will also take account of how long the user spends on the page before they press the back button - in other words "How long before they bounce". This is fair because your entire site may exist of only one page but one page of very useful information. So if someone visits and spends time to read your content and then realises they can go no further they will press the back button. They will bounce but the time they spent on the site indicates there is good content there. The percentage figures here are a little arbitory (and hence the * beside each one) because much will depend on how well your competitors are doing and your performance in the rankings will always depend more on this. If your competitors CTR is higher than yours and their bounce rate is lower than yours, they will (over time) do better in the rankings.